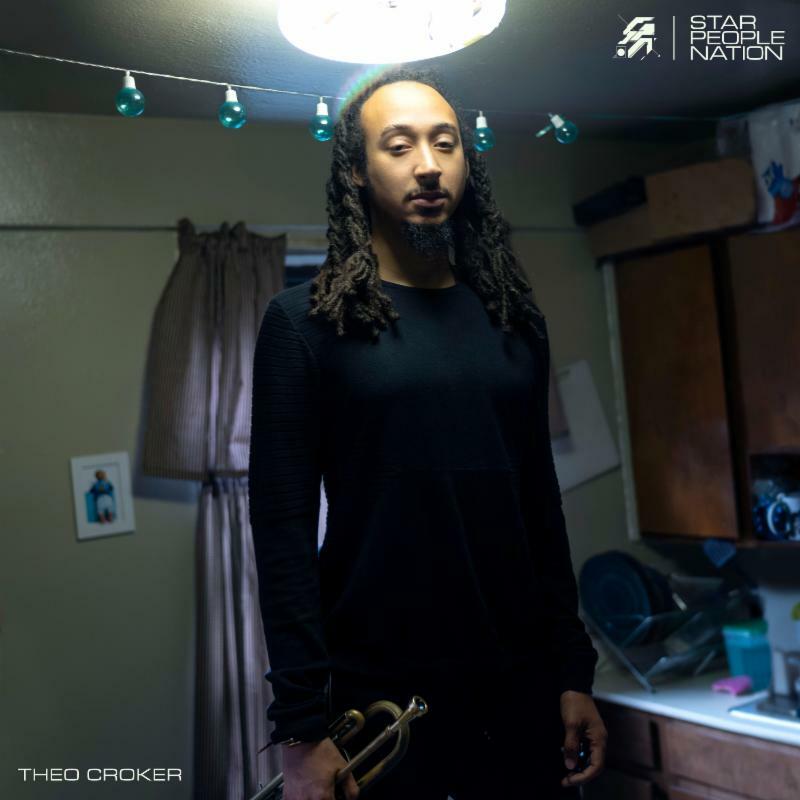 Thus begins the ambitious manifesto behind Theo Croker’s newest album, issued as a preface to the trumpeter, producer, arranger, songwriter and multi-instrumentalist’s most personal project yet, due out May 17 from Sony Music Masterworks. Available now for preorder, Star People Nation finds Croker at the helm of production, songwriting and performance, resulting in an intimate exploration of “the everyday rituals of blackness.” A translation of Theo Croker’s personal, spiritual and creative experience, Star People Nation is a self-reflective collection of provocative, powerfully passionate and boundary-busting compositions that speak to our greater, shared human existence. Arriving alongside album preorder is a new track from the forthcoming album, “Understand Yourself,” a politically charged track featuring vocals from Jamaican musician Chronixx, who adds a distinctive Black, folkloric flair as the music merges African percussion, American horns, and Caribbean flavor. “Understand Yourself” is a culmination of much of the album’s themes, carrying a message of death and rebirth – a powerful missive to let your old self die so that you can move on to be your higher self. Beginning his career with seven years spent in Shanghai, Croker first introduced his singular style in 2014 on the Dee Dee Bridgewater-assisted Afro Physicist. His 2016 follow-up Escape Velocity marked a watershed moment for the artist, with the Wall Street Journal extolling the album as “timeless and of-the-moment.” Returning to the studio in late 2016, he took the reins as sole producer. Playing not only trumpet, but keys, drums, synths, percussion and kalimba in addition to handling background vocals, Croker constructed the album narrative as its auteur, often sampling and re-sampling both live and in-studio performances. Enlisting GRAMMY® Award-winning, multi-platinum producer and engineer Bob Power [Erykah Badu, A Tribe Called Quest, D’Angelo] to mix & master the final product, the album is a seamless pairing of the earthly and celestial, a transcendence of sound rooted in its multifarious eclecticism. It was during this time that he made his first foray into the world of hip-hop, exposing him to “an entirely different form of creation” in the process. Rap superstar J. Cole enlisted his talents on the platinum-certified No. 1 opus 4 Your Eyez Only, with Croker acting as producer, arranger and performer on multiple tracks. GRAMMY® Award-winning rapper Common also sought out Croker’s talents on his critically acclaimed album Black America Again, co-executive produced by Croker’s Afro Physicist collaborator and producer Karriem Riggins [Kanye West, Paul McCartney, J Dilla]. The eighteen months spent making Star People Nation also included a major shift in location for Croker, who relocated from his longtime home of New York to venture out west to Los Angeles. It’s a move few jazz artists make in their career, especially those as rooted in the New York scene as Croker. “There are situations that happen that allow us to gain knowledge about ourselves, steering us closer to our higher selves. The move was one of those for me,” he explains.